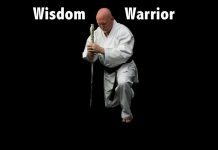 Choshin Chibana was an Okinawan martial artist who developed Shorin-ryu karate based on what he learned from Anko Itosu. Choshin Chibana was also called the “Last Warrior of Shuri”. In 1928 Choshin Chibana named Ankō Itosu’s karate “Shorin-Ryu”, a Japanese ryu name for an Okinawan karate style, which means “the small forest style”. Choshin Chibana was born on June 5, 1885 in Okinawa’s Shuri Tori-Hori village (Naha City, Shuri Tori-Hori Town). He came from a family with a distinguished history who traced their family line from a branch of the Katsuren Court and Choharu, Prince of Kochinta, fifth son of King Shoshitsu (Tei). When the Meiji Emperor Mutsuhito banned the caste system in Japan, Chibana’s family lost their titles and status and were forced to supported themselves by brewing sake. In 1899 Choshin Chibana began his study of martial arts under Ankō Itosu. Applying to be a student, Chibana was accepted for instruction. He was approximately fifteen years old at the time. Choshin Chibana studied with Ankō Itosu for thirteen years until Chibana was 28 years old. Ankō Itosu died at the age of 85 and Chibana continued to practice alone for five more years. He then opened his first dojo in Tori-hori district at 34. He would later opened a second dojo in Kumojo district of Naha City. The World War II Battle of Okinawa, devastated Choshin Chibana. 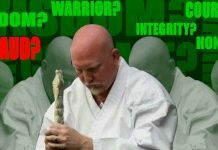 He lost his family, his livelihood, his dojo, a number of students, and he nearly lost his life. At this time he was forced to flee the war. After the war he was able to return to Shuri from Chinen Village and began teaching again. He taught first at Gibo, and later at other places in the Yamakawa district of Shuri and Naha. He would eventually relocate his main headquarters (hombu dojo) from Asato to Mihara. 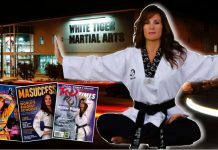 Chibana served as Karate Advisor and Senior Instructor for the Shuri Police Precinct from February 1954 to December 1958. The Okinawa Karate Federation was formed in May 1956, and Choshin Chibana became its first President. He and his associate, Chotoku Kyan, would perform karate demonstrations to help promote the Shorin-Ryu style of karate. By 1957, Choshin Chibana had received the title of Hanshi from the Dai Nippon Butokukai (The Greater Japan Martial Virtue Association). In 1960, Chibana was awarded the First Sports Award from the Okinawa Times Newspaper for his overall accomplishments in the study and practice of traditional Okinawan Karate-do. 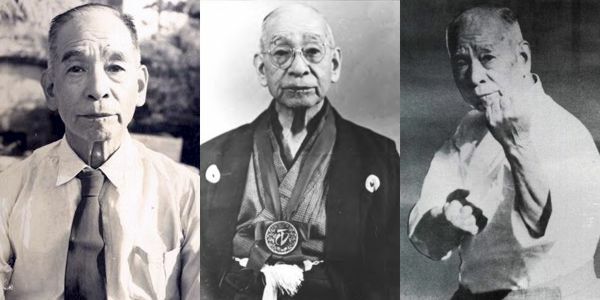 On 29 April 1968, the Emperor of Japan awarded Chibana the Order of the Sacred Treasure, 4th Class, recognizing his devotion to the study and practice of Okinawan karate-do. Very dedicated to his students, Chibana learned he had terminal throat cancer in 1964, but he continued to teach students in his dojo. He was admitted into Tokyo’s Cancer Research Center for radiation treatment in 1966 and after some improvement, he once again went back to teaching with the assistance of his grandson, Nakazato Akira (Shorin-ryu 7-Dan). In late 1968, Chibana’s condition worsened and he was forced to go to Ohama Hospital. Choshin Chibana, Sensei died at 6:40 a.m. on February 26, 1969. He was 83 years old.